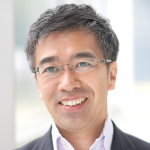 Professor Hironori Hamanaka is the Special Research Advisor of Institute for Global Environmental Strategies (IGES) . When he was taking his former position at IGES as Chair of the Board of Directors, he was also teaching at Keio University as a Professor, and previously served as the Vice-Minister for Global Environmental Affairs as well as other important positions at the Ministry of the Environment. While serving with the Government of Japan, he devoted his administrative career to intergovernmental negotiations in areas including; the Kyoto Protocol and its implementing rules, major agreements in the field of sustainable development, such as the Johannesburg Plan of Implementation agreed at the World Summit on Sustainable Development in 2002 and the development of national policies to implement international agreements, most notably the Kyoto Protocol. Based on his professional career, he served as a Co-chair of the Compliance Committee under the Kyoto Protocol and the Chair of its Facilitative Branch from 2006 to 2008. He gained a B.A. in Engineering from the University of Tokyo in 1967. He has served, inter alia, as a member of the Science Council of Japan, and a vice-chairman of the Food, Agriculture and Rural Area Policies Council, Government of Japan, Editor-in-Chief of the journal Sustainability Science (Springer). His recent publications include Rebuilding the relationship between people and nature: The Satoyama Initiative (Ecological Research, 25, 891-897, 2010), Sustainability: Engaging in global change thorough harmonious adaptation in Asia (co-authored, Nova Acta Leopoldina, NF112, Nr. 384, 213-226, 2010), Sustainability Science: A Multidisciplinary Approach (co-edited, United Nations University, 2011), and Satoyama-Satoumi Ecosystems and Human Well-Being: Socio-Ecological Production Landscapes of Japan (co-edited, United Nations University, 2012), Using sustainability science to analyse social–ecological restoration in NE Japan after the great earthquake and tsunami of 2011(co-authored, Sustainability Science 9: 513-526, 2014). Mr. Arakawa joined the Overseas Economic Cooperation Fund, Japan (OECF) in 1976, and joined Japan Bank for International Cooperation (JBIC) in 1999 and later joined Japan International Cooperation Agency (JICA) in 2008. Mr. Arakawa was assigned in Manila, Delhi and Washington D.C.. and held senior positions in OECF, JBIC and JICA, including Executive Director of JBIC and Vice President of JICA. Mr. Arakawa was a member of “Global Agenda Council on Poverty and Sustainable Development” during 2009-14, Deputy Chairperson of International Finance Club during 2011-13,and Adviser to the President of the Global Development Network, Delhi, India. Papers:”Paying for Zero: Global Development Finance and the Post-2015 Agenda” March 2014,World Economic Forum. “Budget Support and Aid Effectiveness : Experience in East Asia” April 2007, IMF/JBIC. “Budget Support as More Effective Aid?” March 2006, Page 431-445, World Bank. and etc. Executive Advisor, Fuji Xerox Co., Ltd.
After graduating from the College of Liberal Arts of International Christian University in 1967, he joined Fuji Xerox. He became President and Representative Director of the company in 2002. In 2007 he retired as President and was appointed as an Executive Advisor to the Board. In the same year, he was appointed as a Board Member of the United Nations Global Compact. Since 2008 he also has been serving as Chairman of the Board of Global Compact Network Japan. In 2010, he also became the Chairperson of Japan Platform, an NGO platform organization for emergency humanitarian aids. He is a board member of three public companies, Kirin Holdings Co., Ltd., Resona Holdings, Inc., and Fuji Heavy Industries Ltd.
After completed doctoral program at UT in 1980, he has worked at Tohoku University (1980-1983), Asian Institute of Technology, Thailand (1985-1987) and UT (1983 -1985, and 1987 to April, 2017). His research field is holistic environmental management in urban area for sustainability. Integrated water and wastewater management, analysis of emission reduction of green house gas from urban activity, mitigation of urban heat island, solid waste management for lower environmental loading, and quality of life in urban area are his research fields. He has published 60 books and 210 peer-reviewed papers in the field of urban environmental engineering, and gave 214 talks at various academic meetings or at panel discussion. 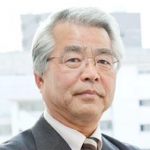 He is a Vice President of Science Council of Japan since October 2014. He is a member of Scientific Committee of Urban Health and Wellbeing Programme, International Council for Science (ICSU). He is a president of Society of Environmental Science, Japan. 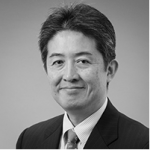 Prof. Dr. Kameyama graduated from the University of Tokyo in 1990 and has been a researcher at NIES since 1992. Over the last 25 years she’s been conducting research on international negotiations and institutions concerning climate change, by utilising theories and methodologies of international relations. Her studies focus on policies towards creation of sustainable society, indicators for sustainable development and international cooperation related to climate change. She’s been a visiting researcher at the University of Maryland in 1999-2000 and visiting professor at the Graduate School of the University of Tokyo since 2006. 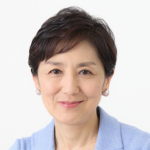 She has many publications both in Japanese and English, including ”Climate Change Policy in Japan: From the 1980s to 2015” (2017, Routledge) and ”Climate Change in Asia: Perspectives on the Future Climate Regime” (2008, Tokyo: UNU Press). Before joining Keio, he worked at the Graduate School of Decision Science and Technology, Tokyo Institute of Technology, and Department of Policy Studies, The University of Kitakyushu. His research focuses on international environmental governance, and is the project leader of a research project on Sustainable Development Goals (S-11, FY2013-FY2015) funded by the Ministry of Environment, Japan (Environment Research and Technology Development Fund). Among others he serves as a scientific steering group member of the Earth Systems Governance project (former IHDP core project, and now with Future Earth), and co-chair of the Working Party on Climate, Investment and Development (WPCID) at OECD. From August 2009 to July 2010 he was a Marie Curie Incoming International Fellow of the European Commission and visiting professor at SciencesPo, Paris. He received his Ph.D. in Media and Governance from the Keio University. His recent publications include: Norichika Kanie, Peter M. Haas, Steinar Andresen eds. (2014), Improving Global Environmental Governance: Best Practices for Architecture and Agency, Routledge; N. Kanie, P. M. Haas, et al, “Green Pluralism: Lessons for Improved Environmental Governance in the 21st Century” Environment: Science and Policy for Sustainable Development, Volume 55, Issue 5, 2013, pp.14-30; David Griggs, Mark Stafford-Smith, Owen Gaffney, Johan Rockström, Marcus C. Öhman, Priya Shyamsundar, Will Steffen, Gisbert Glaser, Norichika Kanie, and Ian Noble. 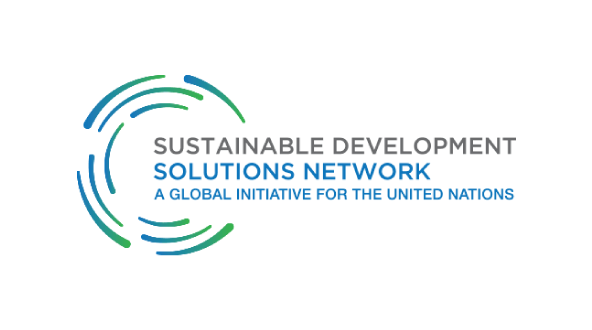 (2013) Sustainable development goals for people and planet, Nature, 495: 305-307. (21 March 2013); Norichika Kanie, et al. 2012, “A Charter Moment: Restructuring Governance for Sustainability”, Public and Administration and Development, 32, PP. 292-304. Ms. Kuniya graduated from Brown University in the United States. She was working as announcer and writer for English program of “NHK News 7”. Subsequently, she became newscaster at NHK channel BS1 “World News” in New York, international newscaster at “NHK News TODAY”, and again anchored World News. She had been hosting the program “Close-up Gendai” for 23 years since 1993 until March 2016. She was also hosting “NHK Special” and various other NHK programs. From April 2016, is a Member of the Board of Trustees to the Tokyo University of the Arts, Goodwill Ambassador of FAO, and also a Member of the Board of Directors to the Taylor Anderson Memorial Fund, as well as a Member of the Board of Councilors to the U.S.-Japan Council. She received the ‘Broadcasting Women Award’ from the Society of Japanese Women in Radio and Television (1998), the 50th Kan KIKUCHI Award (2002), the Japan National Press Club Award (2011), and the Galaxy Award Special Prize (2016). 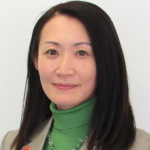 Dr. Michiyo Morisawa is Japan Director of CDP, guiding the initiative since CDP’s global expansion in 2006. She is also Japan Head of Global network and Outreach at PRI. She works leading the PRI signatory network in Japan. She has been a member of several committees under the Ministry of Environment. She has prior experience in international business development of financial services having worked with Citibank, amongst others, reducing settlement risk. She holds Ph. Doctor for Environment from Tokyo University. 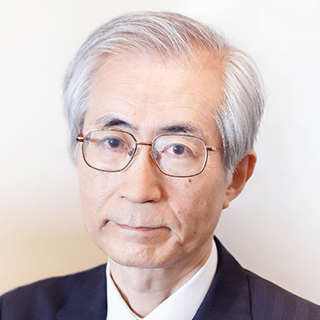 For more than 30 years, Dr. Murakami has been in charge of the research on Building and Environmental Control Engineering, mainly at the Institute of Industrial Science, University of Tokyo (from 1972 to 2000), at the Department of Engineering, Keio University (from 2001 to 2007) and at Incorporated Administrative Agency Building Research Institute (from 2007 to 2012) since graduating from the University of Tokyo (Department of Engineering, Faculty of Architecture). He has been engaged in special research of the experimental study and the numerical simulation of turbulent airflow in rooms and around buildings. He has had a great deal of experience on CFD analysis of wind climate from human scale to urban scale. He initiated a new field of CFD Research. He has also conducted extensive interdisciplinary studies concerning global environmental engineering, urban/building environmental engineering, healthy cities, human comfort and health and so on. His achievements concerning energy and sustainability researches are remarkable. He is now working at Institute for Building Environment and Energy Conservation as a President. Prof. Taikan Oki joined the United Nations University as Senior Vice-Rector on 1 October 2016. His responsibilities include supporting management initiatives UNU-wide and maintaining UNU’s scientific partnership with the University of Tokyo and broader relationships in Japan, including with government ministries and the general public. As UNU Senior Vice-Rector, he holds the post of United Nations Assistant-Secretary-General. 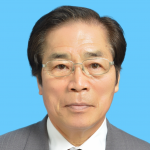 Prof. Oki is a prominent researcher on global hydrology and the sustainability of world water resources. He currently works at the Institute of Industrial Science (IIS), University of Tokyo, where he is managing the research group on Hydrology and Water Resources Engineering. His previous academic positions include Associate Professor with IIS (2003–2006); Associate Professor with the Research Institute for Humanity and Nature (2002–2003); and Associate Professor (1997–2002), Lecturer (1995–1997), and Research Associate (1989–1995) with IIS. He also served as Deputy Director for Environment and Energy with the Council for Science and Technology Policy, Cabinet Office of Japan (2005–2006). He was also recently appointed as Special Advisor to the President of the University of Tokyo. Prof. Oki holds a PhD in Civil Engineering from the University of Tokyo. He has received a number of major awards, most recently the Cultural Publication Award (Japan Society of Civil Engineering, 2014) and the Biwako Prize for Ecology (The Ecological Society of Japan, 2011). 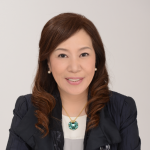 Ms. Ono obtained her bachelor’s degree in Law from Hitotsubashi University and later obtained master’s degree in Development Studies in England. After her graduation from university, she worked for department of financial survey at foreign-affiliated petroleum company, while she was also engaged in daily support of Vietnamese ethnical minorities at HINT. In 1998, she was first involved in activities at PARC as volunteer member and later worked there as full-time staff after retiring the company. After coming back to Japan from England, she took position of executive director and consecutively representative director of PARC. In 2009, she had conducted research about environmental issues at private think tank, and also assumed position of executive secretary of PARCIC at the same time. From 2014, she is Advocacy Specialist at Save the Children Japan. She is the organization facilitator of Japan Civil Society Network on SDGs which was established in 2016. 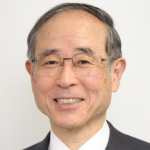 Mr. Takejiro Sueyoshi has contributed to the international discussions on finance and global environment including future perspective of the global finance and CSR management through his lectures and articles, based on his long-term experience in global finance. He serves for the UNEP as the special adviser for its Financial Initiative in the Asia Pacific region, for national and local governments as their advisers, and for private companies as their Board members. 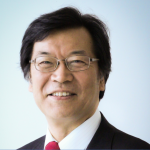 He is now a Trustee member and Japan’s Chair of CDP (formerly the Carbon Disclosure Project), the Representative Director of the Green Finance Promotion and Vice-Chair of Executive Board of Renewable Energy Institute. 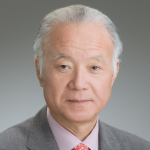 He joined the Mitsubishi Bank (currently the Bank of Mitsubishi-Tokyo UFJ ) in 1967 and was a member of the Board from 1994 to 1998 before he became the Deputy President of the Nikko Asset Management. He was also a member of the Council for Japan’s Prime Ministers (Mr. Fukuda and Mr. Aso) on Climate Change Policy. His publications include “Ondanka Kogi (A lecture on Global Warming) (Toyo Keizai) and Green Economy Frontier (Co-author, Iwanami). In 1969, he graduated from the University of Tokyo (Politics, Faculty of Law) and obtained Master Degree from the same university. After that, he worked as a researcher at Centre of Southeast Asian Studies at Monash University. In 1973 through 1975, he was a lecturer at Faculty of Social and Political Science at University of Indonesia, Faculty of Politics at Monash University in 1976, and later taught as a professor at Faculty of Arts and Sciences at University of Malaya from 1977 to 1980 respectively. In 1981 through 1983, he was a lecturer at Kanagawa University and adjunct lecturer for International Relations, College of Arts and Sciences at the University of Tokyo, and had been a professor of Hosei University from 1983 to 2015. In 1988 through 1990, he was a visiting professor at School of Advanced International Studies of Johns Hopkins University in the United States and University College of Oxford University from 2005 to 2015. 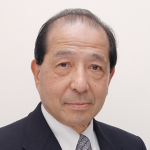 Currently, he is a Professor Emeritus of Hosei University, and until now took various positions such as President of Peace Studies Association of Japan, Representative Director of Global Network of Peace Researchers, The Japan Association of International Relations and Japanese Political Science Association respectively. Also, he was Vice President and President of Asia-Pacific Federation of UNESCO Clubs and Associations and the World Federation of UNESCO Clubs, Centers and Associations. From 2013 to 2015, he was a Chairman of “ProSPERNet”, network of postgraduate education and research related to sustainability of Asia-Pacific regions, organized by United Nations University Institute for the Advanced Study of Sustainability (UNU-IAS). Currently, he is Director-General of National Federation of UNESCO Associations in Japan. 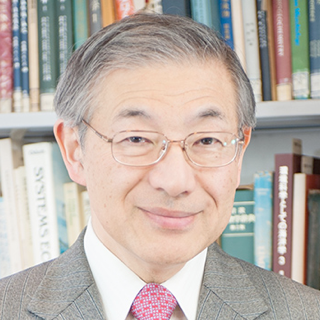 Prof. Takemoto was appointed as Director of the United Nations University Institute for the Advanced Study of Sustainability (UNU-IAS) in January 2014. Prior to joining UNU, he was fully involved in developing policies to realize sustainable societies through formulating national strategies on global environmental issues such as climate change, biodiversity and transboundary air pollution as the Vice-Minister for Global Environmental Affairs at the Government of Japan. He served for CBD/COP10 as its Alternate President (2010), CSD-18 as its Co-Chair (2010) and OECD/EPOC as Vice Chair (2004-07). He has been a Council Member of International Institute for Applied Systems Analysis (IIASA) since 2011. He holds a PhD from The University of Tokyo and a Master of International Public Policy degree from the School of Advanced International Studies (SAIS), Johns Hopkins University. 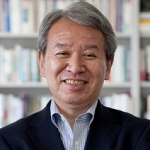 Akihiko Tanaka is President of the National Graduate Institute for Policy Studies (GRIPS). Before assuming the current position, he had been Professor of International Politics at the Institute for Advanced Studies on Asia, The University of Tokyo, for many years. He served as President of Japan International Cooperation Agency (JICA) from April, 2012 to September, 2015. Mr. Tanaka was also Executive Vice President of The University of Tokyo (2009-2011). He obtained his bachelor’s degree in International Relations at the University of Tokyo in 1977 and Ph.D. in Political Science at the Massachusetts Institute of Technology in 1981. He has numerous books and articles on world politics and security issues in Japanese and English including The New Middle Ages: The World System in the 21st Century (Tokyo: The International House of Japan, 2002). He received the Medal with Purple Ribbon in 2012 for his academic achievements. 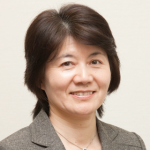 Naoko Ishii has served as the CEO and Chairperson for the Global Environment Facility (GEF) since June 2012. Prior to that, Ms. Ishii was the Deputy Vice Minister of Finance, where she was responsible for Japan’s international financial and development policies, and for its global policies on environmental issues such as climate change and biodiversity. She led the Japanese delegation at the Transition Committee for designing the Green Climate Fund. 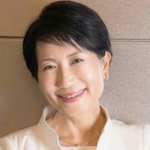 For nearly half of her career, Ms. Ishii has served in international assignments outside of Japan, including at the World Bank and the International Monetary Fund. At the World Bank, Ms. Ishii was the Country Director for Sri Lanka and the Maldives (2006-2010). She also served as the World Bank’s country program coordinator for Vietnam (1997-2001), project manager at Harvard Institute for International Development (1996-1997), economist at the International Monetary Fund (1992-1995) working for Africa and Asia, as well as visiting fellow at Center for International Affairs at Harvard University (1984-1985). Ms. Ishii also taught sustainable development and environment at Keio University. 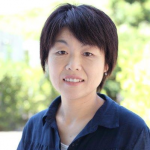 She has published numerous papers and several books, two of which were awarded the Suntory Prize (1990) and Okita Memorial Prize for International Development Research (2004). She is the inaugural recipient of the 2006 Enjoji Jiro Memorial Prize. She holds BA and Ph.D. from University of Tokyo.